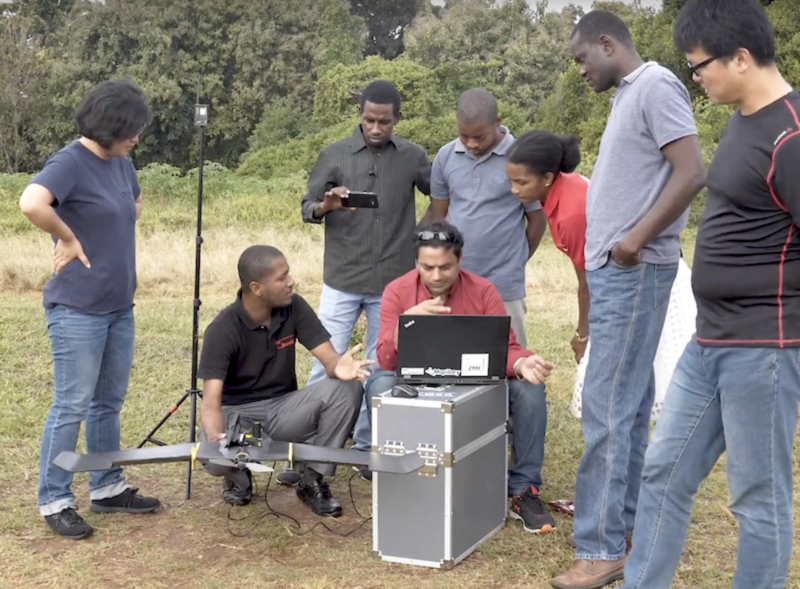 “Giving people the ability to collect their own data, giving them the training to then process that data and to be able to analyze it locally.” This is what Tanzania Flying Labs is all about in the words of its Managing Director Leka Tingitana. Building local capacity to use robotics for social good is, after all, our Flying Labs’ pillar: empowering local people with knowledge and tools to build resilient communities. In Tanzania, this translates as a game-changing mission in agriculture and disaster management – one that Leka and his team of Drone Data Specialist Ghati Marwa and Head Trainer Yussuf Said Yussuf are successfully leading in collaboration with an important number of local partners. This latest video on Tanzania Flying Labs perfectly frames their work, including great testimonials from our last Drones for Agriculture Course and Knowledge Sharing Day as to “why drones are a driver for food security,” to quote one of the participants. We would like to express our deep gratitude to PLANE-SITE for producing this video of Tanzania Flying Labs on a pro-bono basis and for capturing the essence of their work so beautifully.